Sean Sexton has spent a lifetime collecting old Irish photographs, and it shows in this collection of 271 images documenting every aspect of Irish life from 1840 to 1940. 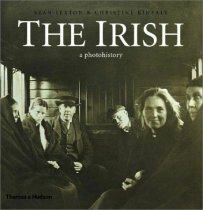 Insightful captions provide the context to each of the pictures, which are presented alongside an extended narrative by historian Christine Kinealy in four chapters. Land, Landlords and The Big House, looks at the life of the aristocracy, a subject which was heavily represented in early photography. Originally published in 2001, this definitive history of the Irish labourer in Britain is now out in paperback. 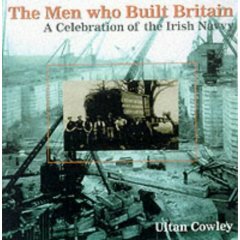 The result is as full an account of the experience of Irish construction workers in Britain as one could wish for, taking their story all the way from the original navigators on the canals and railways which drove the nineteenth century industrial revolution, up to the moment in the 1990s when a booming Ireland actually began to recruit from its own exiled workforce on a large scale.